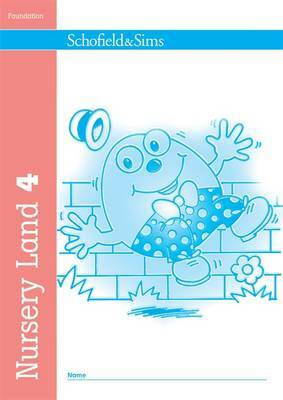 Nursery Land is a series of graded activity books using familiar songs and rhymes to reinforce pre-reading and early mathematical skills (for example, matching and sequencing). The books cover concepts such as colours, shapes and numbers. Book 4 includes: the rhymes 1 2 3 4 5 Once I Caught a Fish Alive and Hickory Dickory Dock, counting to 10, correct formation of the numerals, shapes and repeating patterns, story sequencing, clock numbers.